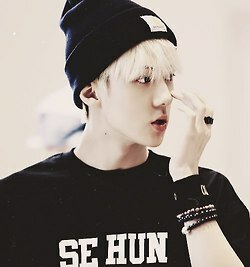 ♦ Sehun ♦. . Wallpaper and background images in the EXO-K club tagged: exo-k se hun exo. This EXO-K fan art contains jersey and camiseta.